Released earlier today, Minecraft Java Edition 1.12, World of Color, is an update that on the surface sounds fairly simple. However, there are many nuances to how the World of Color updates can be brought to life. While version 1.12 was still in development a video was created by Minecraft YouTuber slicedlime that caught our attention. 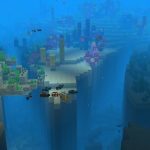 In the video he provides a comprehensive review of the changes in the latest version of Minecraft in a clear, straightforward manner. The video is simply called “What’s New in Minecraft 1.12?” We have embedded it below. If you enjoy this type of video overview we recommend you visit slicedlime’s YouTube page and subscribe to his videos. At first blush some may think that new block colors aren’t that big of a deal. Admittedly, we did. We were wrong. Possibly anticipating the same fouled thinking, The Minecraft 1.12 team turned to reddit, asking Minecrafters to show off what they could build with this new selection of blocks and colors. Watch the video below to see what they came up with. We guarantee you’ll be impressed! These videos provide both clear, thoughtful instruction as well as inspiration. We hope you find the promise that we see in the World of Color, Minecraft Java Edition 1.12! If you find yourself with questions about this new release, we recommend the Minecraft 1.12 FAQ thread on Reddit. 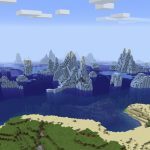 Previous PostPrevious Minecraft Java Edition 1.12 Released! 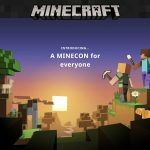 Next PostNext Minecon 2017 – Minecon Earth – Days Away!